Marilyn Burns and Robyn Silbey offer sensible and practical advice guaranteed to give all teachers support and direction for improving their mathematics teaching. 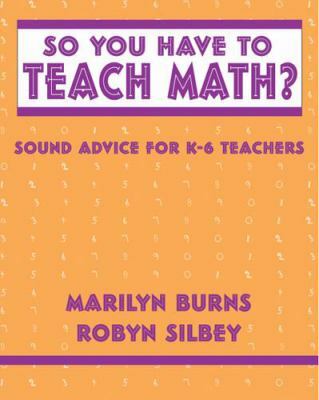 The lively Q-and-A format addresses the concerns that most kindergarten through grade 6 teachers grapple with about teaching mathematics.Burns, Marilyn is the author of 'So You Have to Teach Math? Sound Advice for K-6 Teachers Sound Advice for K-6 Teachers', published 2000 under ISBN 9780941355292 and ISBN 0941355292.